Is it difficult for you to select professional makeup brushes for different purposes? Now this 10pcs Professional Cosmetic Makeup Brush Set will be your optimal choice! It contains different kinds of brushes for your various needs. Made of superior and soft material, it is safe to your skin as well as very easy to use. Owning this makeup brush set is much more economical than buying different brushes separately. What’s more, this set is so popular style and portable that you can carry it when you are traveling or on a trip. Never miss it! Professional, high quality concealer for make-up artist. Combines 15 colors in one palette, it helps create more than 1,000 amazing looks. Using the most commonly applied shades ensure the best natural skin color. long. It is perfect for Professional Salon, Wedding, Party and Home use. 3 Pack : 1 Grey and 1 brown Hamster, Dark brown, Talking function:Talk back function allows the hamster to repeat everything you say no matter you laugh, sing or speak English, Russian, Spanish or any other languages. These EmaxDesign facial treatment kit will show your natural beauty and leave a flawless finish. These tools help to remove blackheads, acne, and various blemishes. To keep your face clean and smooth without the need for treatment in a beauty salon. All of the extractors are made of dermatologist-grade stainless steel that are rust-free and stain resistant.The tools come in a black leather case for holding, sorting, and storing. Each tool has a specified slot in the zippered case. A user manual is included with directions and tips, making the kit easy to use. It is recommended to clean your face with hot water before using the extractor tools. 100% Satisfaction Guarantee: We at EmaxDesign stand behind the products we sell. If you are not completely satisfied, we will do our best to quickly rectify the problem. 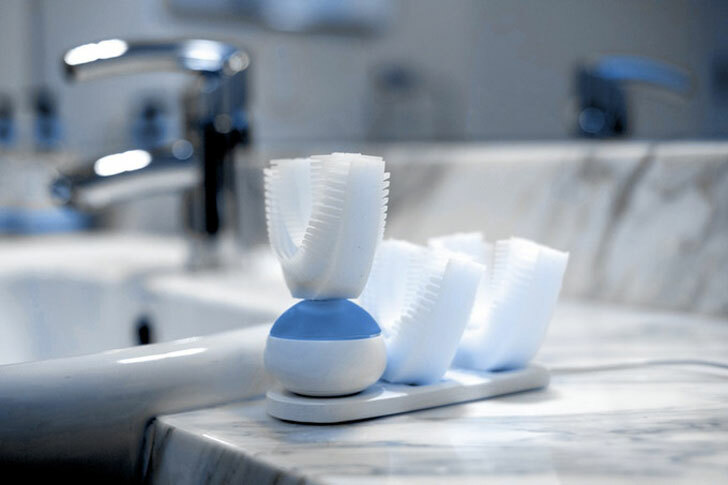 This automatic toothbrush is unlike anything you have ever seen before. But that’s the beauty of “world’s first” products. 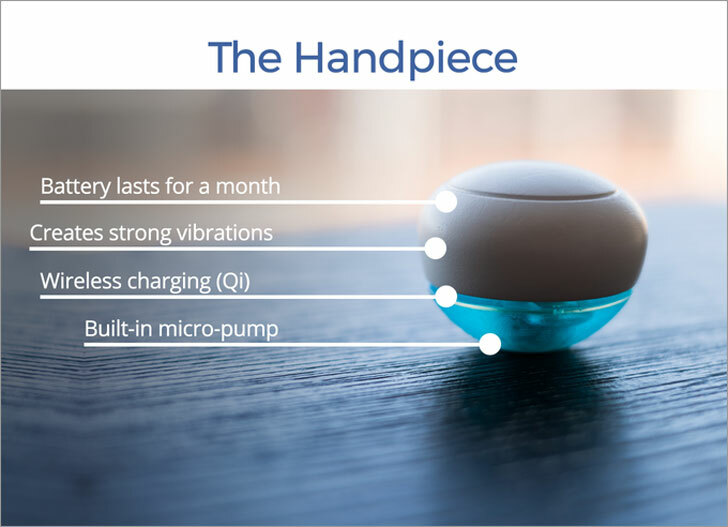 They bring ingenious solutions to your everyday problems and Amabrush is no exception. As you can see, this toothbrush is actually shaped like a dental prosthesis that you put over your teeth. It is made out of anti-bacterial silicone that not only fits any type of jaw but also kills 99.5% of all bacteria that have taken residence in your mouth. The silicone mouthpiece combined with the magnetic handpiece emanate gentle vibrations that clean every single tooth to perfection. Just a fun fact, even if you spend the recommended 120s on brushing your teeth with a regular toothbrush, you actually spend only 1.25 seconds on brushing every surface of your teeth. Remember that you have 32 teeth and all of them have 3 surfaces, it’s tough to take care of each of them. But with Amabrush your teeth get a whole 10 seconds of undivided attention. The vibrating handpiece comes with a toothpaste capsule. When you’re brushing your teeth, it delivers toothpaste straight to your teeth through many built-in micro-channels. 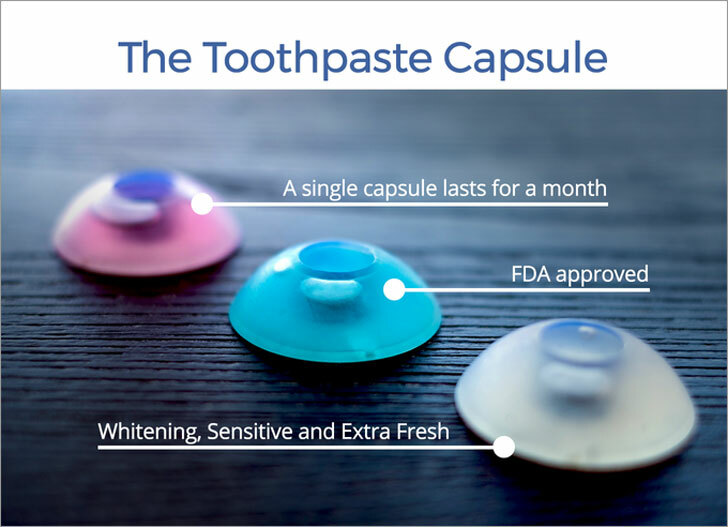 This makes brushing teeth more efficient and helps you avoid having toothpaste land right onto your t-shirt (we’ve all been there). The mouthpiece is held in place with the magnetic handpiece, that has been established. But you can have several mouthpieces for each family member with only one handpiece. Additionally, this automatic toothbrush works even with braces and dental prosthesis. Do you suffer from back strain, leaning over the side of a tub to bathe your little one? Do you worry about your baby having to sit in a cold tub, or abut the possibility of them sliding and getting hurt? Any of these can lead to unnecessary pain, not to mention expensive doctor's bills, that can be AVOIDED! OUR GUARANTEE: We understand buying items online can be intimidating, so we offer a 100% satisfaction guarantee--we will make any issues right! Struggling to keep your hair tidy? The HairFeel™ Finishing Stick is designed as a convenient solution for flyaways, baby hairs, and stray ends. It holds your hair perfectly in place and helps you achieve your desired styles. HOW TO USE Simply apply one even coat directly to lips, leaving to completely dry for 2 minutes. Now press your lips together and watch it transform before your eyes to a dazzling full coverage glitter lip! Handmade Fish sandals/Flip Flops for the Fish enthusiast! Perfect gift or gag for the fishermen/women in your life! Check the Shoe size image to determine the perfect shoe size for you! This product has Free world-wide shipping available! Have you seen the buzz lately over this product? Well it is ALL worth it - this Holo Pure powder will transform your nails! Such gorgeous, flawless results. ***If you only purchase the basic kit, you will need your own base gel and color gel. *** This product looks amazing over ANY color gel polish! Have fun!! Hard-to-reach spots like around the nose and mouth, and under the eyes, use its pointed side. Foundation and blush on the larger areas of your face such as your forehead, cheeks and chin ,use the round base. Useful for Face Liquid /Cream Foundation/Concealer.